The days of Summer are quickly approaching. 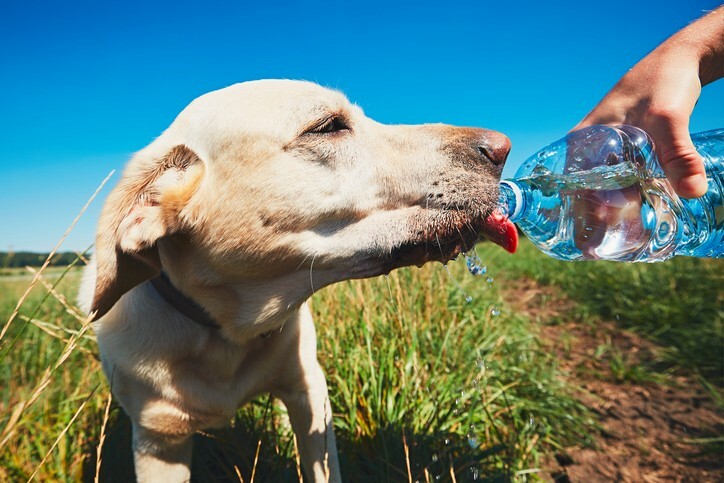 The correct amount of H2O is vital to our pet’s health and well-being - especially during those sizzling, smoldering warmer months. 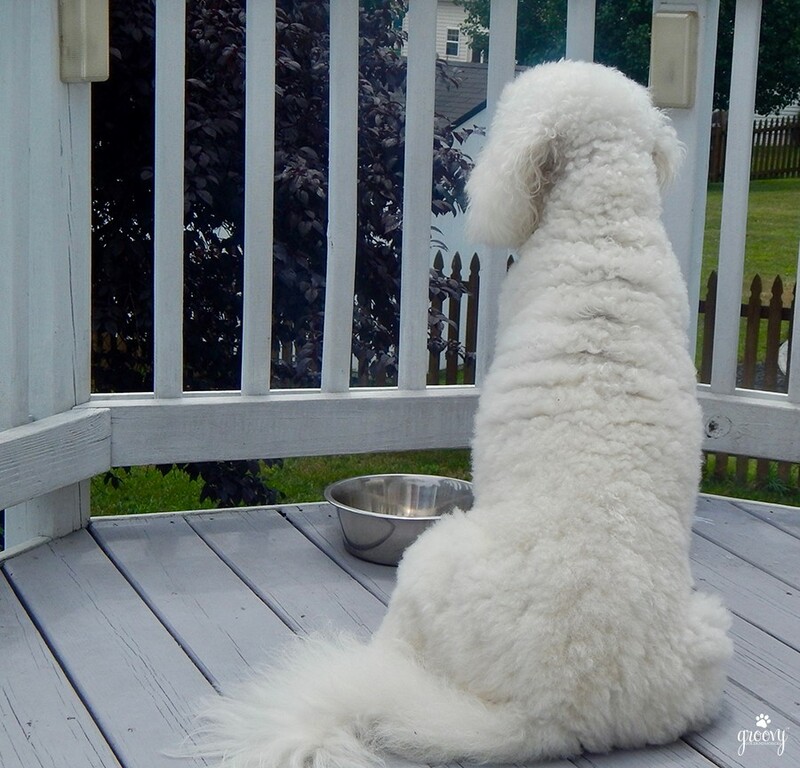 In some regions, once summer is in full swing, many pet parents will be forced to adjust their daily routines a bit just to avoid the extreme heat. Living in the Southeast, when our heat index begins to rise, our morning walks are much earlier and last longer. Early exercise allows me to keep my two Goldendoodles, Harley and Jaxson, inside during the middle of the day. Ball playing and other outdoor activities resume right before dusk after the pavement cools down. I try to encourage more water consumption to maintain proper hydration. But first I needed to learn how to calculate the proper amount for their individual size and weight. 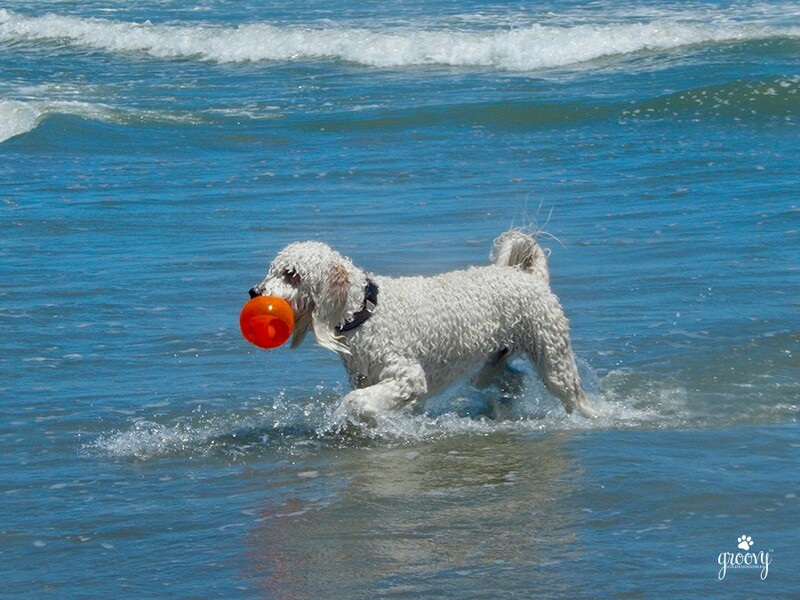 For healthy dogs - 1/2 to 1 ounce of water per pound of body weight each day. Leaning towards the higher number, calculations for my 70 lb Goldendoodle multiplied by 1 ounce equals 70 ounces or close to 9 cups per day. If my math is correct, I'm in big trouble, because I doubt seriously if Jaxson consumes that much water every day. Perhaps 3/4 ounce is closer to reality equaling approx. 6.5 cups of water every day. DOES YOUR DOG KNOW HOW MUCH IS ENOUGH? To be honest, I always thought (like humans) dogs instinctively knew how much water their bodies required. My assumption was - as long as I kept clean, fresh water in the bowls at all times, they would drink precisely the amount necessary. Not always the case. While some dogs do, many dogs DON'T drink enough or they drink too much. Dr. Karen Becker offers help for those Over or Under-Drinkers. A change in the amount of water consumption can also be an indicator of an underlying illness. Drastic shifts from their normal drinking habits may warrant a veterinarian visit to rule out certain serious conditions. Spending time outdoors in the summer is always a great source of fun. We just have to be careful before heading out into the sun with our dogs. Carry water wherever you go - I’m armed with cold water and pet travel cups, so I am able to accommodate them whenever necessary. Add additional water bowls - during the warmer months, I place another water bowl upstairs in the bathroom. If they see it - perhaps they’ll drink from it. Use ice cubes - always fun to have ice cubes in a water bowl outside. We place one on the front porch - they both love to bob for the ice and play in the water - it’s a mess, but they actually consume a decent water - especially after a walk. There are other ways to hydrate your system. Fruits (and veggies) contain large amounts of water in proportion to their weight. My Boys love my homemade green smoothies. Fresh fruits and veggies are plentiful once the weather’s warm. They’re super sweet and chock full of vitamins, natural sugars and nutrients. Together we produce (pun intended) a variety of pet safe/friendly delicious smoothies several times a week. Our go-to mid-day treat is cold and refreshing, healthy, tasty, and good for all of us! I am mindful not to over-indulge them with each serving. No more than 1/2 cup once a day, and I consume what’s left over! Recipes for green smoothies are plentiful on the internet. Be mindful of your ingredients. Keep to those fruits and veggies that are safe for your dog's digestive system. If you are not sure about what fruits and veggies to share with your pet - the American Kennel Club has an excellent guide. Soon we’ll all be in a Summer state of mind - make yours happy, healthy, and hydrated!